Published by Sestino on December 29, 2006 in Uncategorized. 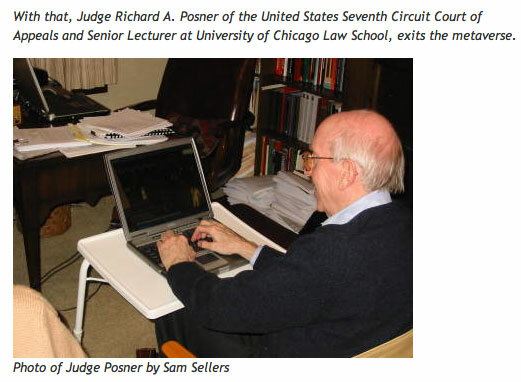 Closed Tags: book, economic, judge, life, notes, posner, richard, taxing. 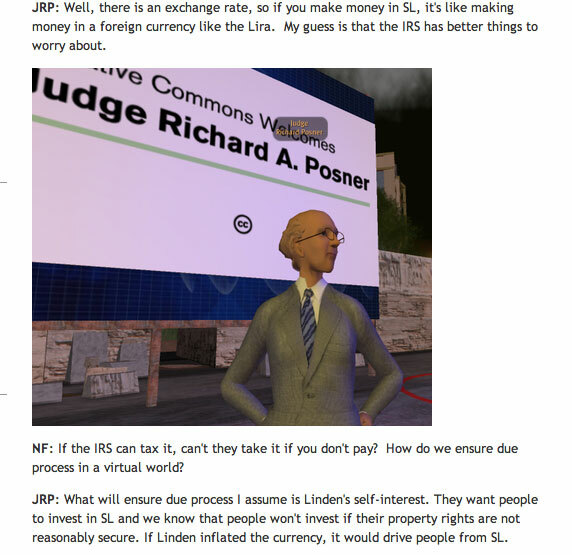 OMFG, this is definitely going to being sited by the IRS as a reason for taxing the economic activities of Second Life. 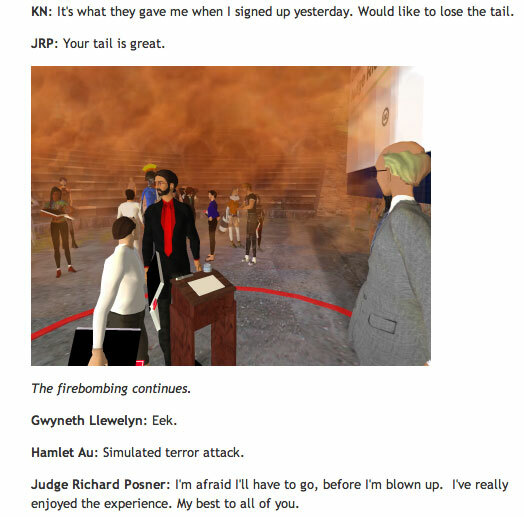 Afterall, Second Life is important enough for Judge Posner to consider promoting his book “on it” or “in it”.